Finite mathematics can be thought of as any math that isn't calculus. Where calculus is concerned with continuity, finite math deals with discrete (finite) packets of data no on a continuum. You don't have to take a traditional college class to study finite math (although that's certainly an option). Many colleges offer online classes that don't require classroom attendance, or you can opt to attend a more traditional face to face (f2f) class. A final option, if you're comfortable with mathematics, is to self study. Take an online class in finite mathematics. Online classes are offered through many colleges and universities, and don't generally require any in person classroom attendance. You take the class from a computer in the comfort of your own home, sometimes working at your own pace. An instructor or facilitator guides you through the course. Colleges that offer an online finite math class include NC State, the University of Houston, and Southern State Community College. Many community colleges are expanding their online course repertoire: check with your local community college for online class availability. Sign up for a class in finite math at your local community college or university. Many colleges and universities, especially community colleges and private universities, offer evening and weekend classes to fit your schedule. Finite math is a required course for many different types of degree programs and so is likely to be offered at a convenient time with several available sections. Check with your local college or university's registrar's office for course availability. Many schools also have this information available online. Study in your own time, using materials from your local library or purchased at a bookstore. 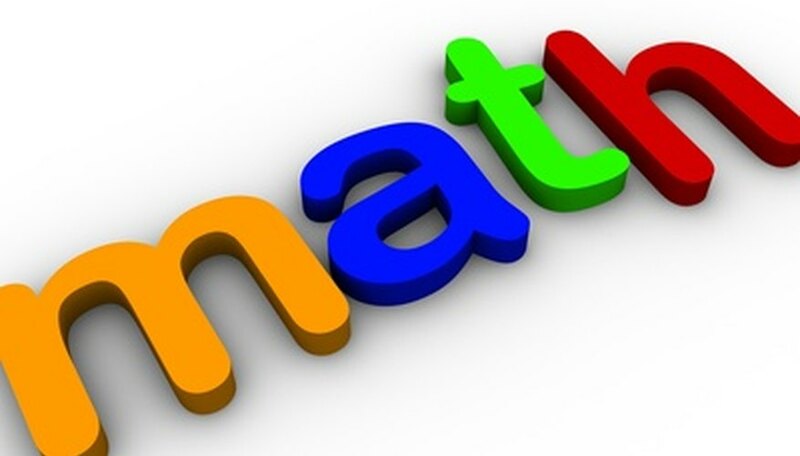 Finite math is like any topic in math: it requires careful study, practice and patience. If you like math and have a strong mathematical background (including college level algebra) then studying finite math by yourself could be a good option. If your math skills are weak, consider taking an in person (face to face) class before an online class. Although online math classes are convenient, the level of support you'll receive is higher if you attend a class on a campus. Check with your local library for math tutors. Some libraries subscribe to tutoring services to assist school age children with homework: these services may also be available to adults, depending upon your library system. Ellen, Stephanie. "How to Learn Finite Math." Sciencing, https://sciencing.com/how-to-learn-finite-math-12744535.html. Accessed 18 April 2019.